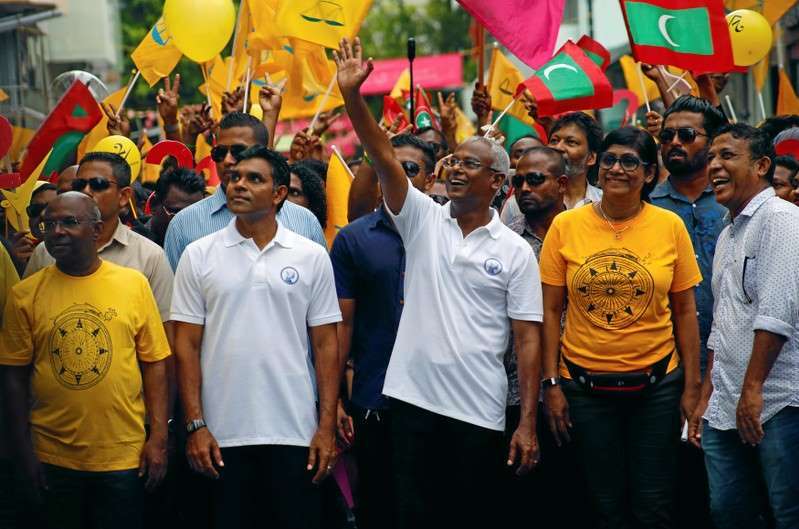 Maldives opposition candidate Ibrahim Mohamed Solih, who fought a bitter election campaign against President Abdulla Yameen, said that he had won Sunday's presidential vote with a 16 pct margin after 92 pct of votes had been counted. "This is a moment of happiness, a moment of hope. This is a journey that has ended at the ballot box because the people willed it," Solih, popularly known as Ibu, told reporters in Male. "The message is loud and clear. The people of Maldives want change, peace and justice. I would like to call on President Yameen to accept the will of the people and begin a smooth transition of power as per the constitution."